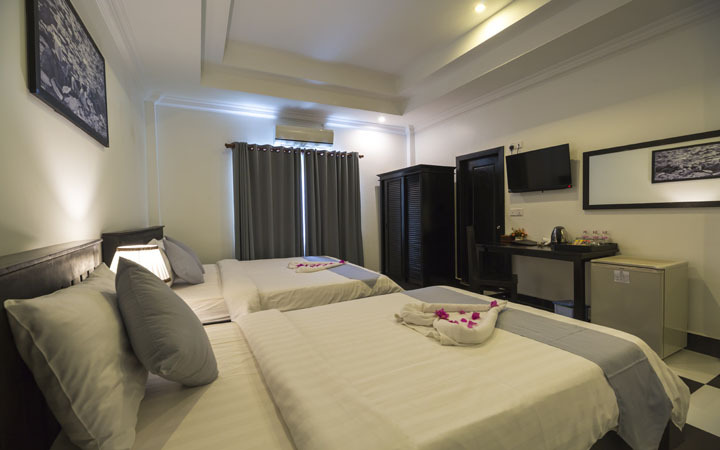 Deluxe Family room, all rooms offer a spacious retreat for your comfort and pleasure. 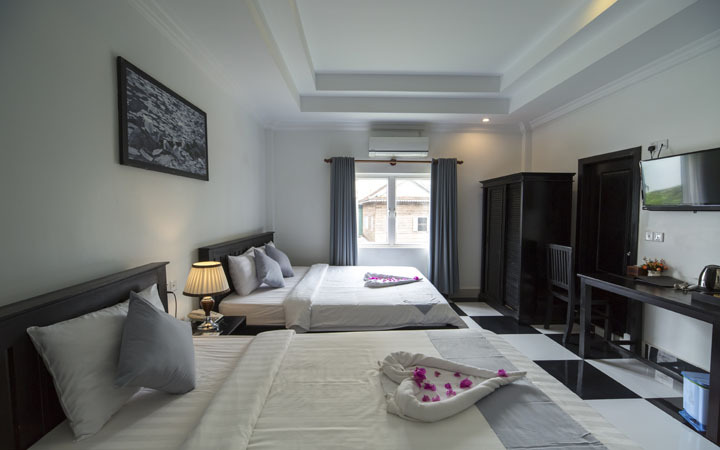 Modern facilities include large comfortable one king size bed & one single bed, private bathroom with hot water, Flat-screen TV, private fridge, safe, air conditioning and landscape of city view. 10 rooms available, each 36 square meters. 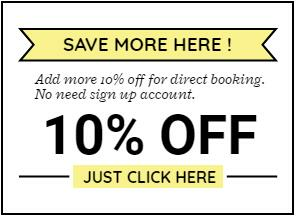 - Rates are included 10% Government & 2% Accommodation Tax. 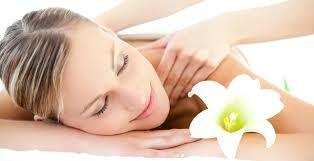 - Hotel payment accepted by Cash, Visa & Master Card without fee. - Child Policy - No charge for maximum 1 children under 07 years old sharing room with parents. - Booking cancelled less than 03 days of arrival 01night booking amount will be charged. 100% retention for a no-show. 25 % discount at all food excepted beverage.